Whatever your sexual orientation, whatever your gender identity, you don’t have to pretend or hide or feel left out. Come as you are! 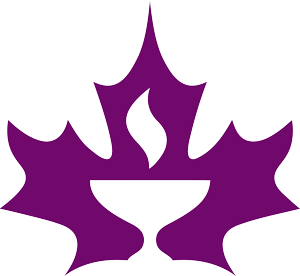 We are proud that our congregation was certified as an officially Welcoming Congregation in 1995 – the second Unitarian congregation in Canada. We thank the West Trust for a grant to support our efforts to renew our certification. be inclusive and expressive of the concerns of people who are lesbian, gay, bisexual, transgender, and/or queer at every level of congregational life—in worship, in program, and in social occasions—welcoming not only their presence but the unique gifts and particularities of their lives as well. not assume anyone’s affectional/sexual orientation and/or gender identity. Vocabulary of worship reflects this perception; worship celebrates diversity by inclusivity of language and content. include an understanding of the experience of lesbian, gay, bisexual, transgender, and queer persons is fully incorporated throughout all programs, including religious education. ensuring our bylaws and other official documents include an affirmation and nondiscrimination clause affecting all dimensions of congregational life, including membership, hiring practices, and the calling of religious professionals. engage in outreach into lesbian, gay, bisexual, transgender, and queer communities, both through advertising and by actively supporting other lesbian, gay, bisexual, transgender, and queer affirmative groups. offer congregational and ministerial support for weddings and memorial services for persons who are lesbian, gay, bisexual, transgender, and/or queer, and celebrations of evolving definitions of family. celebrate the lives of all people and welcome same-gender couples, recognizing their committed relationships, and equally affirms displays of caring and affection without regard for sexual orientation. seek to nurture ongoing dialogue between people of different affectional/sexual orientations and gender identities, and to create deeper trust and sharing. advocate for lesbian, gay, bisexual, transgender, and queer people, by attending to legislative developments and work to promote justice, freedom, and equality in the larger society. We speak out when the rights and dignity of lesbian, gay, bisexual, transgender, and queer people are at stake. celebrate the lives of all people and their ways of expressing their love for each other. At UCV, we have a Genders and Sexualities Alliance (GSA) which meets for a social and potluck and also to discuss ways we can continue efforts towards these commitments. If you have suggestions or would like to be included in our gathering, just contact our group. All Canadian congregations have completed the Welcoming Congregation program. Many celebrate Pride with special services, events and participation in Pride parades. In 2019, we are embarking on a program to re-certify by offering programs and events to increase awareness, education and support of all gender expressions and sexual orientations. Thank you to the West Trust Grant for support in helping us produce materials and attend events to support this work. Our national association has passed many resolutions and made many public statements on gender and sexual orientation issues. In 2003, the CUC was very active in achieving the goal of equal marriage in Canada. Unitarian organizations have repeatedly advocated for persons of all sexual orientations and gender identifications — supporting human rights for all. 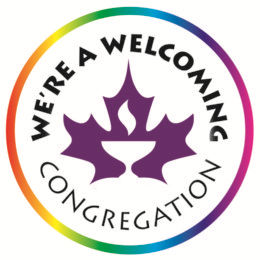 The Welcoming Congregation program helps congregations create a truly welcoming environment for all persons. Unitarianism, which has long had as its first guiding principle the commitment to “affirm and promote the inherent worth and dignity of every person,” has come further than any other North American faith tradition in welcoming and affirming bisexual, gay, lesbian and transgender persons. Transitioning: Are You Mystified About Gender?